Meet our Empire Hi-top plimsoll. Featuring a lavish hand-dyed leather upper with feature zip detail and contrast suede heel cuff detail. This stylish yet versatile boot as both laces or zip for ease of fastening. 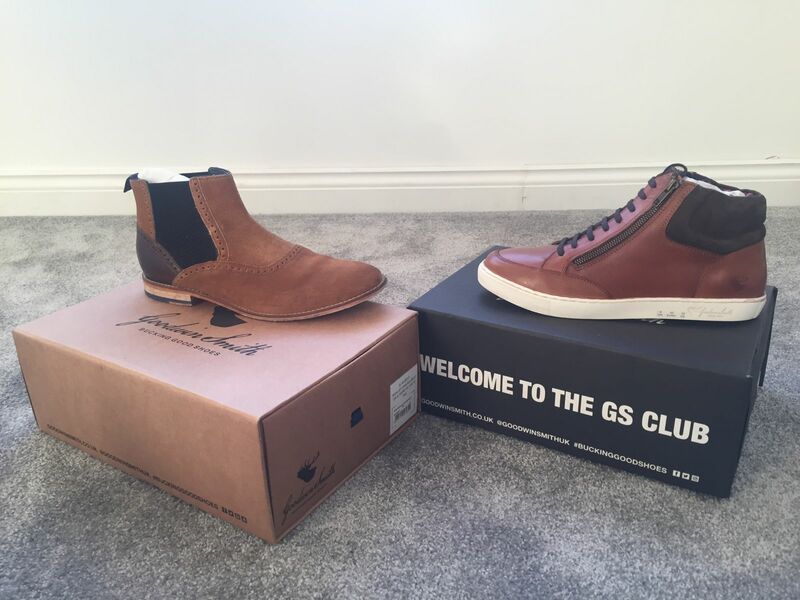 Leather and textile lining printed with GS stag logos and padded leather sock with GS logos printed in gold foil. Features Goodwin Smith's own fully branded sole unit. Available in Tan and black. Got these bad boys in the sale and absolutely love them!! !